Dresses are something I wear at least three times a week during the spring and summer and I love this dress. 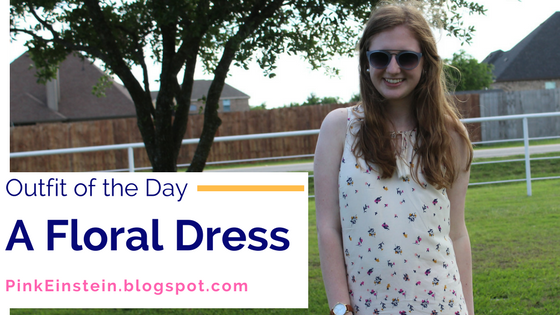 I first mentioned this dress in my Spring Dressing Room Try On post and I talked about how much I loved it so today I'm talking about how I styled it! I love the floral pattern of this dress! I love the pattern at the bottom of this dress! If you want to see some of the bloopers from this photo shoot you can click here. I love this outfit! The jacket and dress are the perfect combo!